All four companies now include unlimited calling to mexico mobile numbers, although the offer will only be valid on certain plans, all of which are priced at $50 per month or higher. Users can still add additional minutes to call other countries, although Mexico is not the only company included in this most recent unlimited international initiative. For a full list of the companies included, check with the individual carrier. As a side note, Tracfone also offers international long distance calling to several countries. While it is not unlimited, users can call Mexico at the same per-minute rate as they would call anyone else, which is still nothing to scoff at. This most recent Mexico calling trend was launched a few months ago by AT&T’s purchase of Mexican mobile provider lusacell and the decision to add this feature to GoPhone and Cricket a few weeks later. 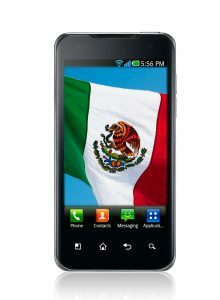 Other carries to offer free Mexican mobile minutes include Boost Mobile, Lycamobile, Ultra Mobile and a few others.